"My exposure to many different types of people at Brookes helped me develop my people skills while giving me a firmer knowledge of others with different religious beliefs, cultural background and values." Why did you choose to study at Oxford Brookes? I intended to look at real companies by attending seminars given by representatives of great companies which was a great way to hear advice from people who’ve already done what I want to do and build business connections. What is your best memory of Brookes? It’s about small-group teaching and emphasis on critical thinking and analysis. Seminars were taught by full-time staff who are experts in their field and have undergone extensive training in pedagogy. Also language abilities, personal and interpersonal communications, international perspectives, analytical skills and self-management and organisational/problem-solving abilities were gained from my study at Brookes. These have since enabled me to act as a “global citizen”. What do you miss the most about Brookes? My exposure to many different types of people at Brookes helped me develop my people skills while giving me a firmer knowledge of others with different religious beliefs, cultural background and values. It’s easy to accept my own culture as absolute, but studying at Brookes helped inform my point of view on your home culture, allowing me to develop my own views rather than simply accepting those defined by others. What did you do after you graduated from Brookes? 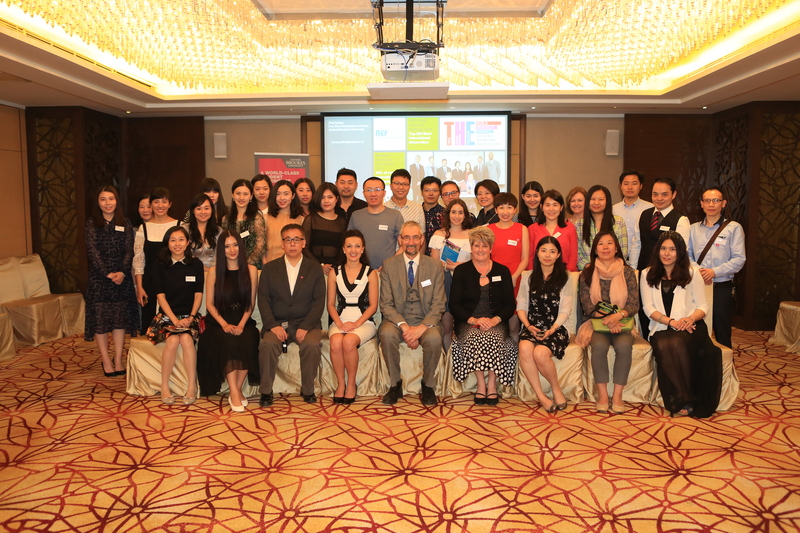 Since graduating from Brookes with a MBA in 2003, I have been working in the education-related field in China. 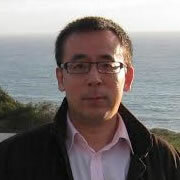 Now, I am the Manager of Beijing Fujia International Cultural Exchange Center, as well as the President of Association of Oxford Brookes Alumni China, extending excellent support and service to students all over China and giving education consulting advice to students who intend to study abroad. Our aim is to improve educational standards. What inspired you to join your chosen career? Since returning to China, I have experienced at least two “high tides” of studying overseas in tandem with rising income and diversified needs of education by the average Chinese families. Hordes of parents had sought my advice to find suitable universities overseas for their children thanks to my own overseas study experience. Choosing a college or university is one of the most difficult decisions students face in their life. We not only offer quality education, but also help students to develop the required skills needed for admission. By establishing strong working relationship with foreign educational institutions for the proper placement of our students, I can best utilize my expertise in the field of overseas education in helping next-generation of Chinese students gain admission for suitable courses in recognized universities across the globe. Did attending an international university benefit you professionally, personally and academically? Yes, absolutely. Besides the appealing degree and credentials, I learned to respect different cultures, enabling me to become more adaptable to external changes. Attending an international university exposed me to different teaching and learning methods, and helped me gain global vision. As a result, I have become a more open-minded and confident person, with a much greater understanding of the strengths and drawbacks of Chinese and foreign cultures and value systems, which will only make me more competitive on the workplace and in my career development. What inspired you to volunteer for your chapter? Due to the differences between the Chinese education system and that of western countries, selecting and applying to the right institution can be quite a challenge for prospective students. Our Chapter assumes the role of bridge between University and students, with our deep understanding about needs and expectations which will inspire me to recruit students for the University and raise University profile in China. If current students seek my advice, I will offer the following: Pass the ultimate test in self-reliance. When you move back to your family and homeland, you’ll likely rely on others less and you’ll take more responsibility for yourself. Embrace a completely new way of teaching, which can be daunting at first, but it will also open your mind to new ways of learning; gain new life experience and have deeper understanding about virtues like hardworking, intelligence and financial independence by learning how to handle unforeseen situations. There’s always bound to be a better way of spending your spare time than scrolling through WeChat by visiting landmarks, tasting new foods, bargaining at local markets or even setting foot on the dilapidated neighbourhood to feel another side of the city, which is a reality that nobody can neglect. What advice would you give to a recent graduate? They must acknowledge the truth that more and more career opportunities even in the field of R&D are wooing Chinese students studying abroad to take important roles back home and make an impact in their home country by leveraging their overseas education and experience. 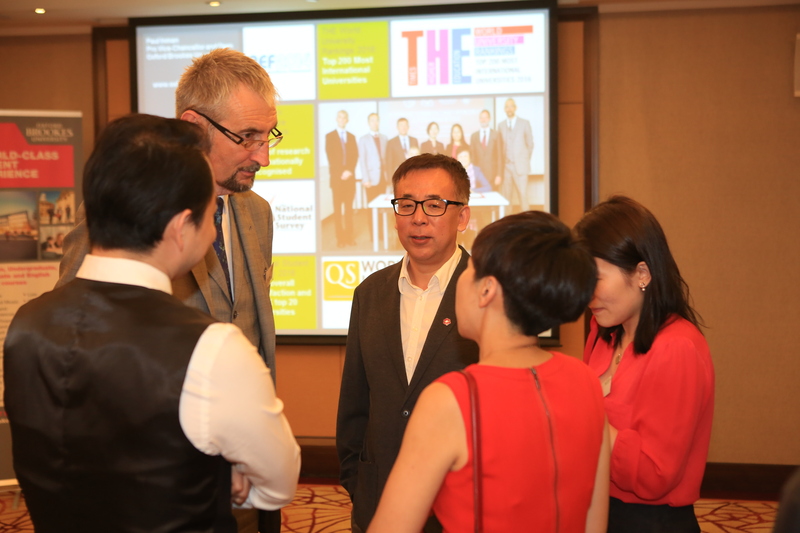 The evolving economic environment in China toward an innovation-driven and quality development model has a high talent on demand for those entrepreneurial, innovative and globally minded Chinese students. In the meantime, they must have a realistic expectations about the job offers and career advancement amidst fierce competition from graduates from local universities which have grown substantially both in academic & research competence and stature. Students who are becoming increasingly competitive are those with diversified academic backgrounds and interdisciplinary skillset. Of course, it’s time for Chinese employers to evolve, to have the ability to differentiate between good and bad, in order to evaluate the quality of candidates who have studied abroad, as they cannot be identified as key universities like China. Were you involved in any extra student activities whilst abroad? For Example, societies, sports or travel. While studying at Brookes, I would invite local students for Chinese New Year celebrations, telling them the importance of Chinese New Year's Eve Dinner, why fireworks are set off, and symbolism behind the red envelop and such Chinese Lunar New Year decorations as lanterns, papercutting, and door gods; I would demonstrate a few moves of lion dance which requires precision and unison of two performers. I offered assistance in Chinese language learning by using games and story-telling to spark newly-acquainted friends’ interest.